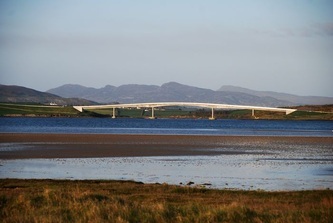 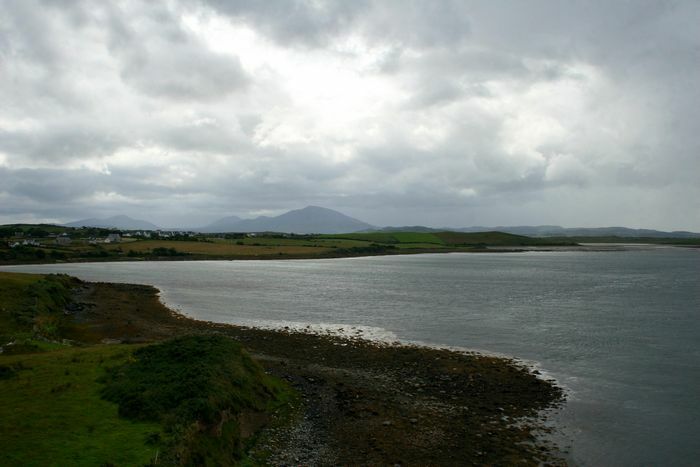 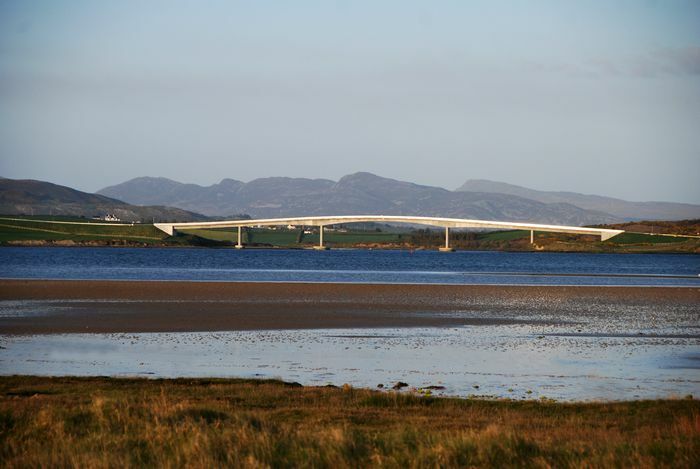 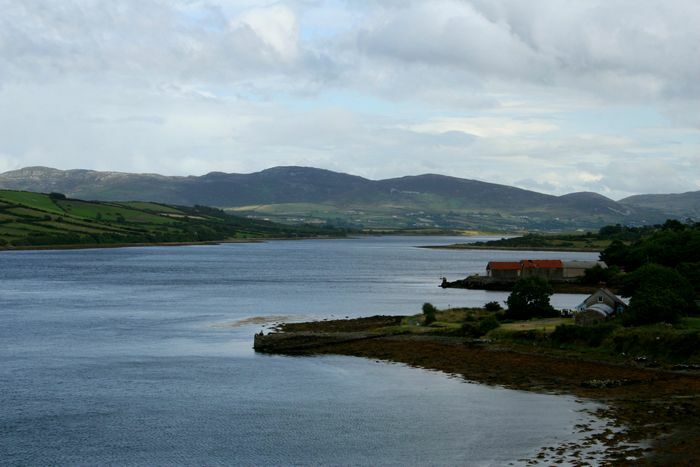 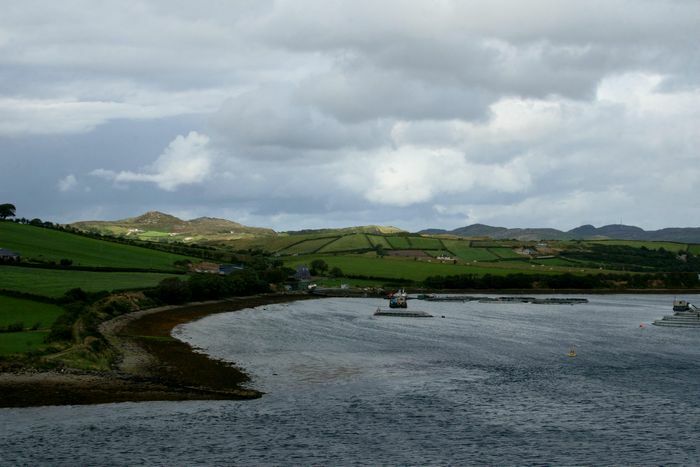 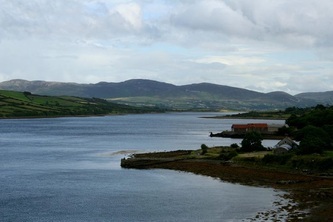 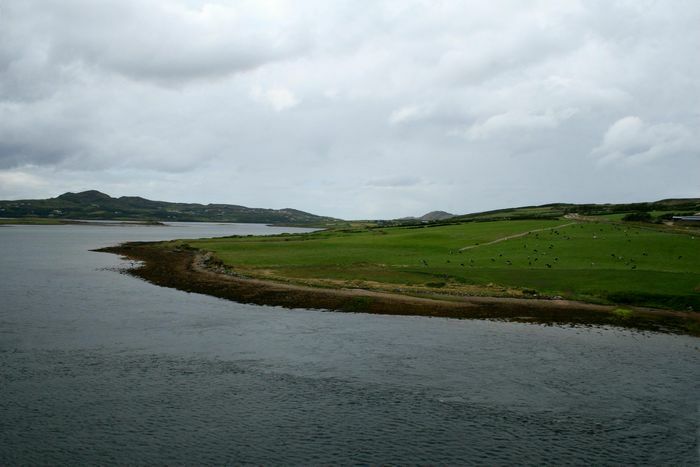 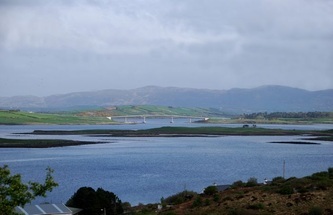 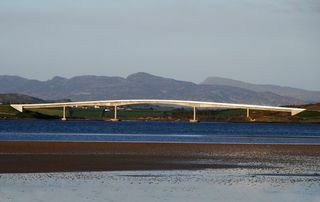 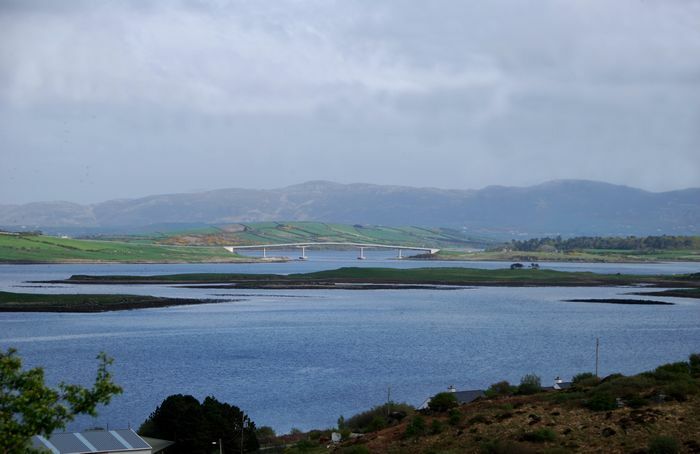 The Harry Blaney Bridge spans Mulroy Bay between the Roguill and Fanad peninsulas of County Donegal. 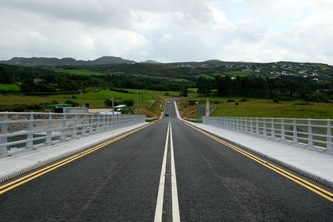 It is named after the Donegal independent politician, T.D. 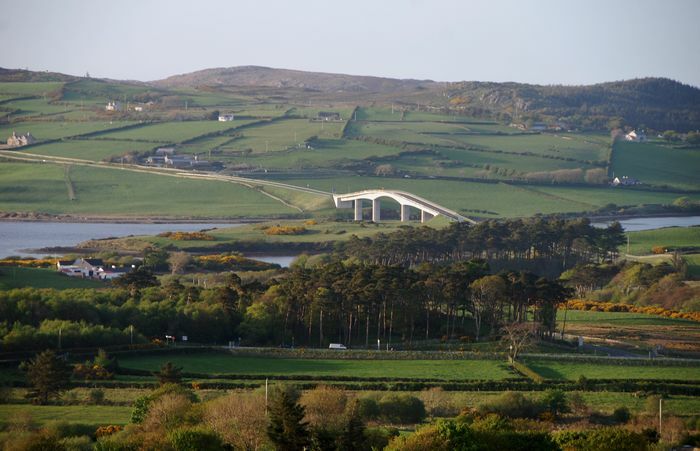 Harry Blaney who secured it's construction by supporting the Irish Government of 1997 under the rule of ex-Taoiseach Bertie Ahern (Fianna Fail). 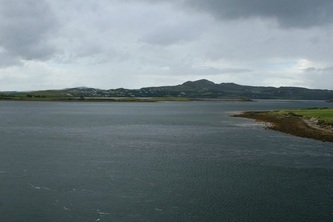 In earlier years, from around the 19th century, a ferry travelled back and forth between these peninsula but this service ceased in the mid 1960s. 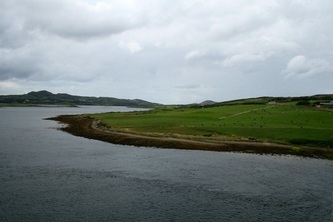 Without the ferry the distance to get from, say, Carrigart on the Rosguill peninsula to Fanad took about an hour by car hence the need for the bridge (which measures 340 meters/320 yards and only takes a few minutes to cross between the peninsulas). 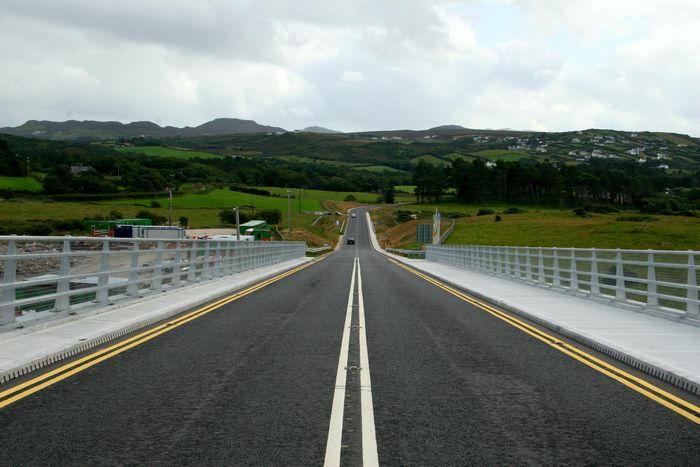 Construction of the bridge commenced in 2007 and it was completed, at a cost of some €20 million, on the 18th of November 2008. 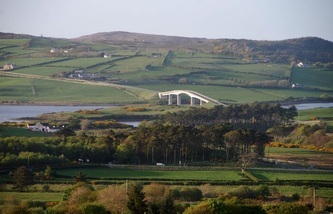 The bridge was opened on the 15th of May 2009 by the former Taoiseach Brian Cowan (Fianna Fail).